John Kenneth Muir's Reflections on Cult Movies and Classic TV: Saturday Morning Cult-TV Blogging: BraveStarr: "BraveStarr and the Law"
Saturday Morning Cult-TV Blogging: BraveStarr: "BraveStarr and the Law"
In “BraveStarr and the Law,” two prospectors discover a rich vein of Kerium under Star Peak, the planetary preserve where BraveStarr’s elderly friend and mentor, the Shaman resides. The prospector’s promise to let the Shaman live on the property in peace, even after staking their claim with the assayer’s office. But Tex Hex uses hypnotism and trickery to steal their claim, and he orders the Shaman evacuated at once. The Shaman refuses to leave. 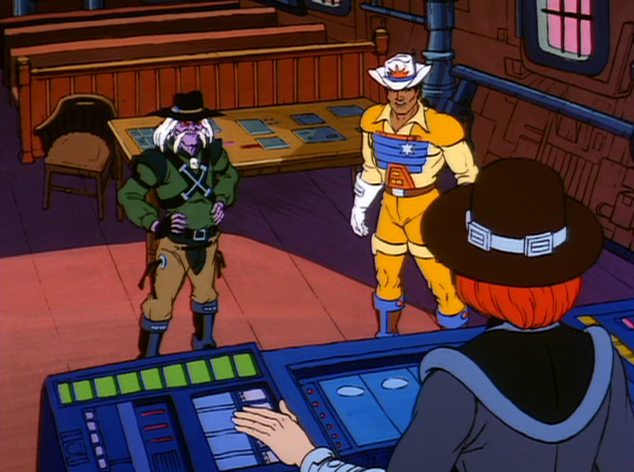 In the terminology of the episode itself, “BraveStarr and the Law” is about the choice between conscience and rules. "A man can run away from his duty, but not his conscience," says BraveStarr. 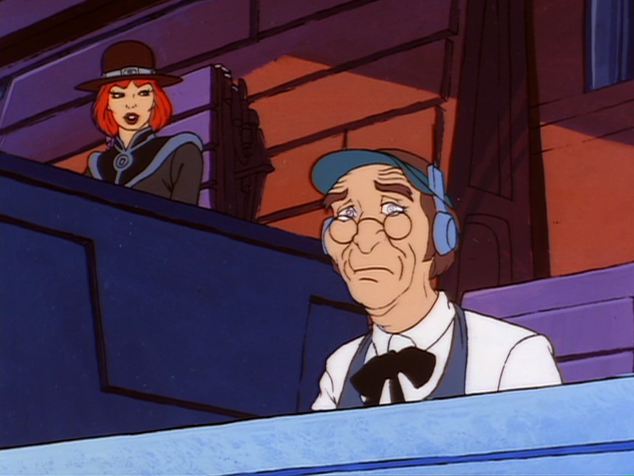 In the end, of course, everything works out, and BraveStarr keeps his job, but what I like about the series is its frequent forays into gray legal areas like the one explored here. What is the responsibility of a lawman when the law rules in favor of someone he dislikes? 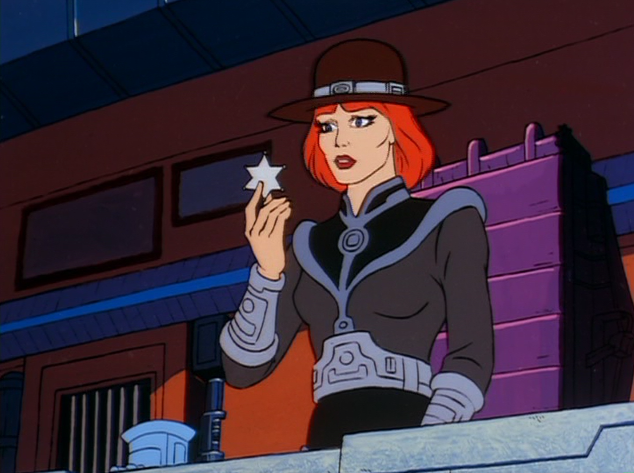 BraveStarr can’t act illegally, and that’s the point. He can still, protest something he sees as being wrong, but he can’t do so as an officer of the law. He can ask “what kind of law kicks an old man out of his home?” but he can’t, as Marshal, refuse to execute the law. 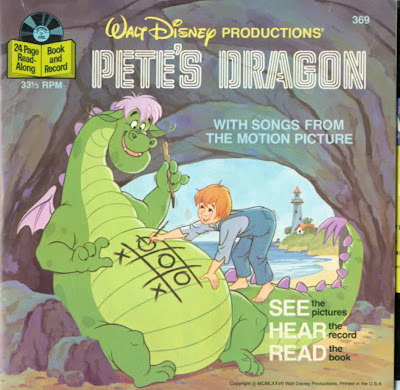 Accordingly, the episode’s message is that a person must still respect the law, even if he or she disagrees with it under certain circumstances. On another note all together, I admire the level of background visual detail frequently evident in BraveStarr. Here, for example, there’s a girlie or “pin-up” calendar evident in the assayer’s office. 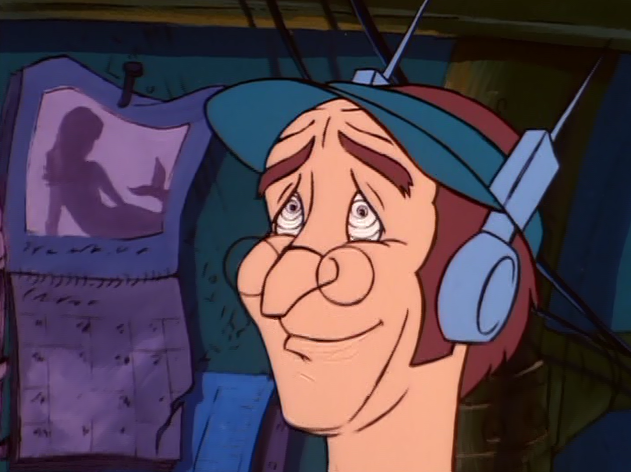 It’s a nice touch of realism and also incredible detail, and wholly unexpected in a children’s show. The A-Team: "The Children of Jamestown"